Robyn Speed has long been passionate about literacy and quality education in Africa. 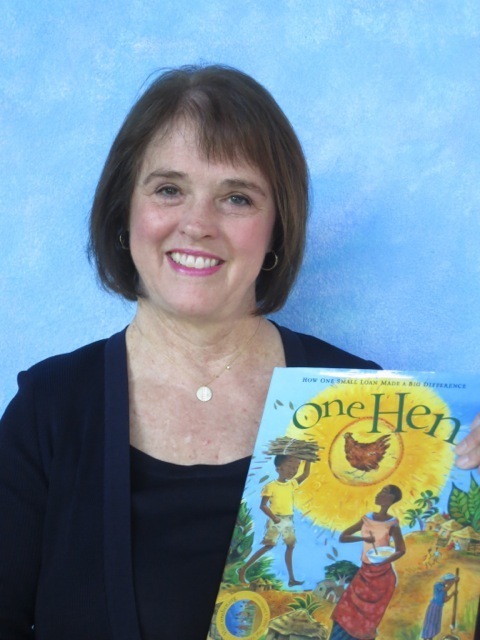 As an international development practitioner, former elementary school teacher, and unabashed bookworm she enjoys working to spread the love of reading and lifelong learning to youth in Africa. She first became passionate about education in Africa during a study abroad experience in Kenya where she interned for the Ministry of Education. Regularly visiting learning environments devoid of essential materials made a lasting impact on her. Since then she has worked on education and youth development projects in Ghana, Nigeria, Tanzania, and Zambia. Robyn hopes to leverage her skills in program management, communications, monitoring & evaluation and youth development to help mobilize more U.S.-based youth to become global literacy activists and join ALP’s mission of using grassroots service to make global impact. Robyn holds a BA from the University of Pennsylvania, an M.Ed. from the City College of New York, and an MA in Global Human Development from the School of Foreign Service at Georgetown University. A digital native, Lauren Shade has always been fascinated with how communications and digital media bring people together. As a current graduate student at the University of Washington, specializing in Library and Information Science, her goal is to better understand disparities in information access and the "digital divide" as well as to connect enthusiastic learners like herself with tools to learn and grow. She has spent over eight years working in social media, communications and customer support across diverse industries, including technology, real estate, book publishing, retail, legal process outsourcing. Two of those years were spent working in advertising and marketing for local and international startups. Her goal is simple. To provide folks with positive resources (in the form of fantastical and heart-wrenching children's literature! ), to deliver impactful content, and to foster meaningful connections. In addition to our Board of Directors, we rely on hands-on volunteers who are deeply involved in planning, organizing and implementing our core activities. Cathy Lampman is a former elementary school teacher with a BA and a teaching credential from UC Santa Barbara. On multiple visits to Africa, she saw rural schools with few or no books. Through ALP, Cathy is proud to be part of a team that gives the gift of reading by putting books into the hands of African children. In addition to her work with ALP, volunteer work at her church and her family, which includes five grandchildren, keep Cathy very busy. Erika Papakipos is an elementary school teacher with a background in Evolutionary Biology and a lifelong continent-crush on Africa. She holds a BA in Physical Anthropology from UC Santa Barbara and a Multiple Subject Teaching Credential from Notre Dame de Namur. She considers her research work with siamangs and gibbons in college to have been excellent preparation for both parenthood and teaching kindergarten. She joined the African Library Project because it is a group of dedicated and passionate individuals doing real, concrete good in improving literacy and education across the continent she loves so much. She loves ALP’s African partnership model of respectful cooperation and the distributed, grassroots nature of the book drives which means that American volunteers benefit as much from the process as the African recipients do. Alice Valentine loves children, books, education, Africa and recycling so volunteering for ALP is a perfect match! She has had the privilege to travel to many developing countries and through various organizations has helped to provide teachers with training and materials and children with books and the resources to go to school. A graduate of George Washington University with a B.A. in Political Science and a former elementary school teacher with a credential from San Jose State University, she is happy to bring her skills and enthusiasm for learning and books to ALP as a Container Manager. She loves ALP’s model as it provides volunteers a way to make a difference through giving their time and talents, not just through donating money as most organizations only provide.